I wasn't alive for the previous heyday of sword and sandals movies like Spartacus, so I really have to ask-- are they all the same, or do they all just look the same? In the decade following Gladiator, I haven't been able to look at a single movie featuring guys in sandals and togas without saying "Well, that looks exactly like Gladiator"-- and usually that judgment is pretty accurate too. 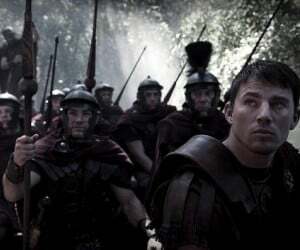 Yes, I realize that that's how they dressed back then, and you can't make a Roman epic featuring guys in space helmets. 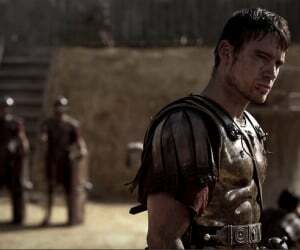 But admit it-- most of these movies have the same plot about glory and revenge, and none of them are as awesome as Maximus shouting "Are you not entertained???" So is there any reason to expect something new and novel from Eagle of the Ninth, aside from the fact that it features the super-hunky Channing Tatum? I'm going with no for now, especially after seeing a handful of new images from the film over at Yahoo! Movies. 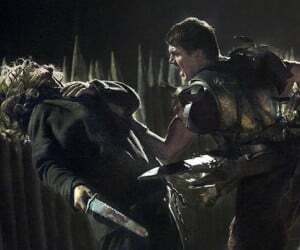 Channing looks hunky and the armor looks fierce, and director Kevin McDonald did an OK job with State of Play. but I'm not seeing the wow factor here. Check out four of the images below, click on them for the full gallery, and tell me if I'm wrong.
. The Eagle of the Ninth is set in the dangerous world of second-century Britain. 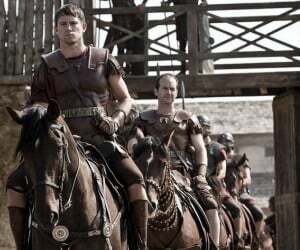 In 140 AD, twenty years after the unexplained disappearance of the entire Ninth Legion in the mountains of Scotland, young centurion Marcus Aquila (played by Channing Tatum) arrives from Rome to solve the mystery and restore the reputation of his father, the commander of the Ninth. Accompanied only by his British slave Esca (Jamie Bell), Marcus sets out across Hadrian's Wall into the uncharted highlands of Caledonia - to confront its savage tribes, make peace with his father's memory, and retrieve the lost legion's golden emblem, the Eagle of the Ninth. The movie also stars Donald Sutherland, Mark Strong, and Tahar Rahim.